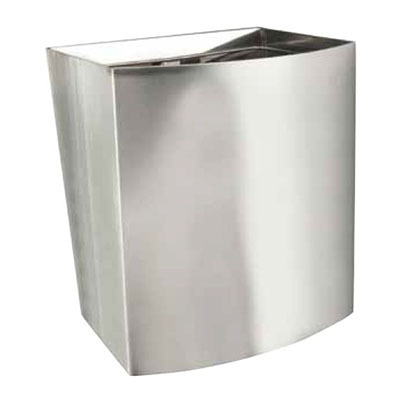 The Serra Disposor Plus wall bin is manufactured from high grade 304 Stainless Steel material and is available in a Satin or Bright Annealed Finish. It is wall mountable via a sturdy, concealed stainless steel wall brack and is ideally positioned below the paper towel dispenser. The wet used towels are then disposed of into the Serra Disposor without the need to touch the unit. The Serra Disposor is an essential waste receptacle for maintaining a neat and tidy washroom area. Net capacity of 38 Litres.